I had been looking for a Climbing Butter bean for a while when the Diggers Club released their annual seed catalogue - there is was finally. 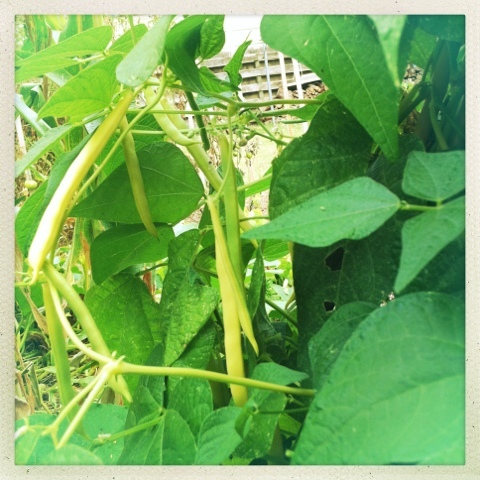 I bought a packet of their Australian Butter climbing bean for $4.00 (for 20 seeds) and planted them out in September. I had enough beans for dinner every few nights come mid December. When picked young they were tender and not stringy at all - a warning though when they are producing you must check every 2-3 days as the can get tough quickly. 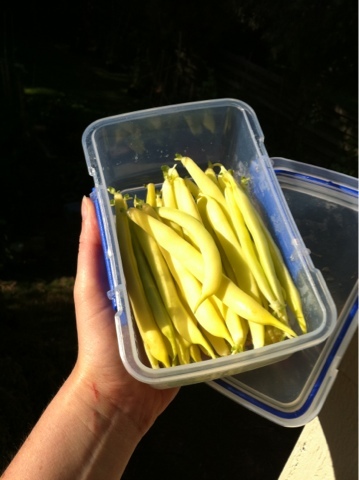 Australian Butter produces a very sturdy vine and from the 12 seeds I planted I picked over 2kgs of fresh beans and then left the last flush of flowers to produce seed and once dried there was about 500g. Very vigorous and for me they flowered 3 times over the summer. I would say that they grew to be over 2m. Surprisingly they produce a vivid purple seed that when dried is almost black. I have some spare seed if anyone would like to do a seed swap let me know in the comments below. Majestic Butter - the bush variety I grow also has black seed. Interesting isn't it? 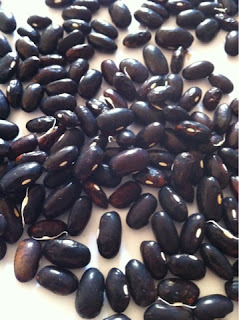 Natures funny, I would never expect a yellow bean to produce black seed. The beans and the seeds are both very pretty. Do you remember what color the flowers are? I think the last time I grew a yellow podded bean that the flowers were not the typical white, but my memory could be (often is) faulty. I do love butter beans, this year I grew the dwarf variety and they have done very well & still producing beans. 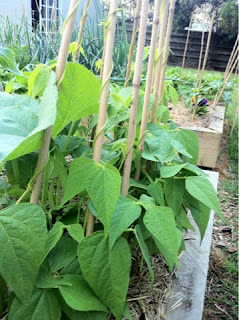 As our summer was soooo hot the beans were covered with shade cloth which worked a treat.